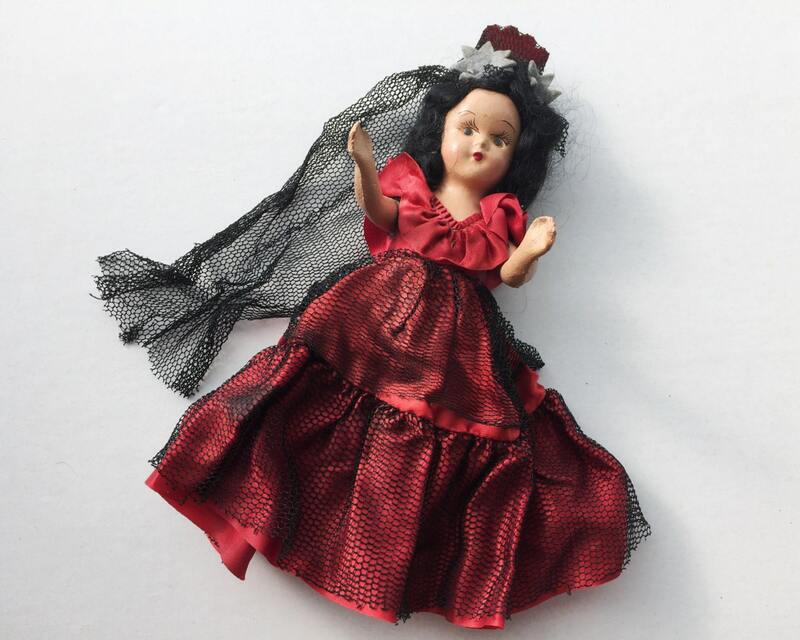 Lovely vintage composition Spanish doll wearing a red satin dress with black net mantilla and peineta (high comb) and flowers in her hair - possibly she is portraying the character Carmen from the opera of the same name. Clearly someone thought so because there is a piece of tape, or sticking plaster, on her leg with with the word 'Carmen' on it, along with the number 63. 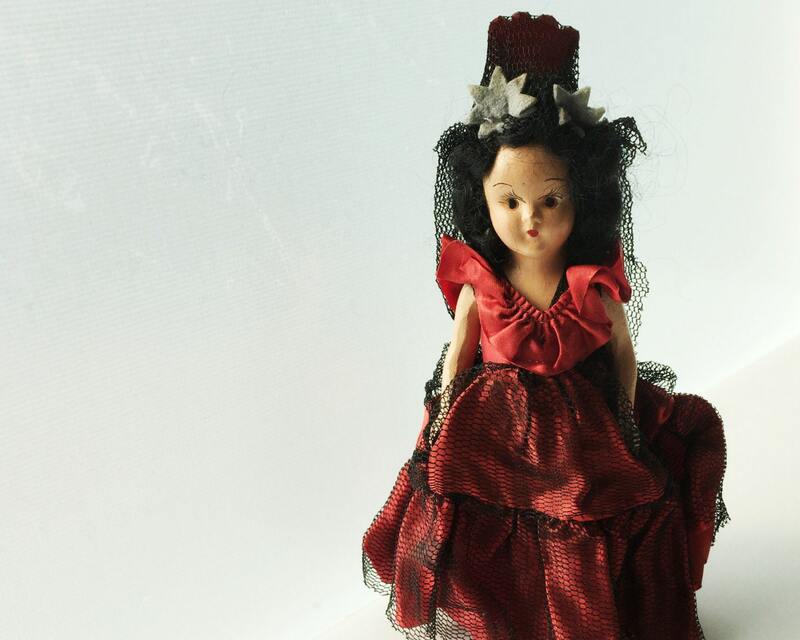 She has black hair made out of mohair and a pretty painted face. 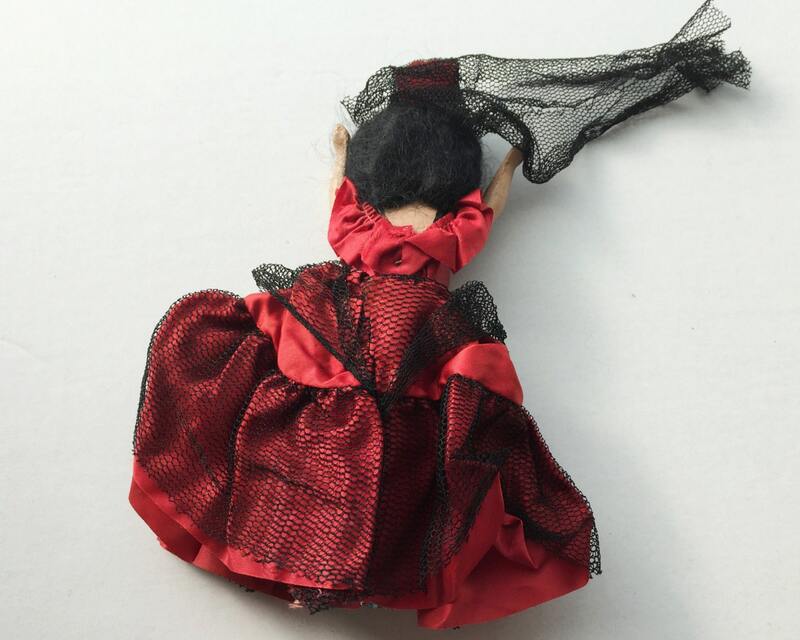 Her shoes are painted on, and her dress is stapled on (which is probably why it's still in such good condition). She has a light amount of crazing on her body and face, and some of the black paint of her shoes is chipped off. She is joined at the shoulders only. She is unmarked. 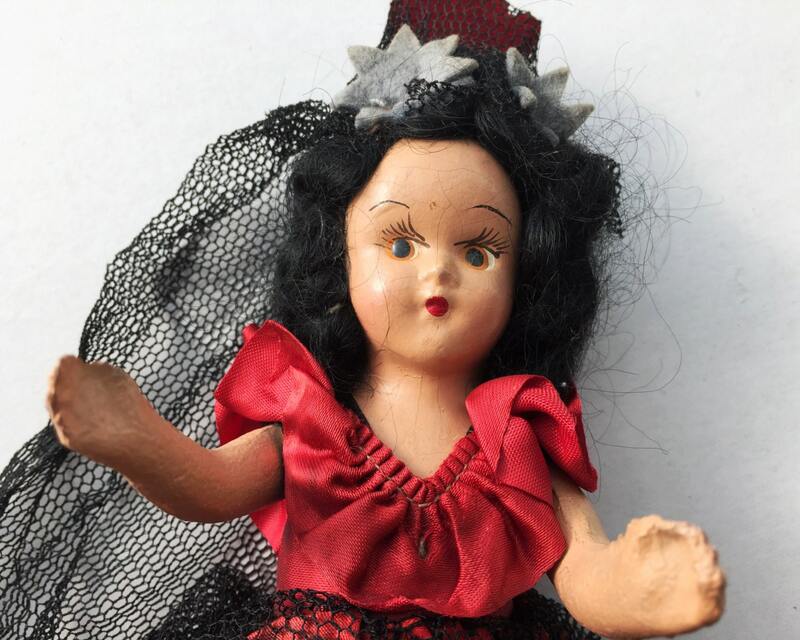 This composition doll measures 7 1/2 inches tall - and I suspect she was probably produced by one of the doll companies for carnival or novelty usage. Please examine the photos carefully. I try to include all pertinent details. 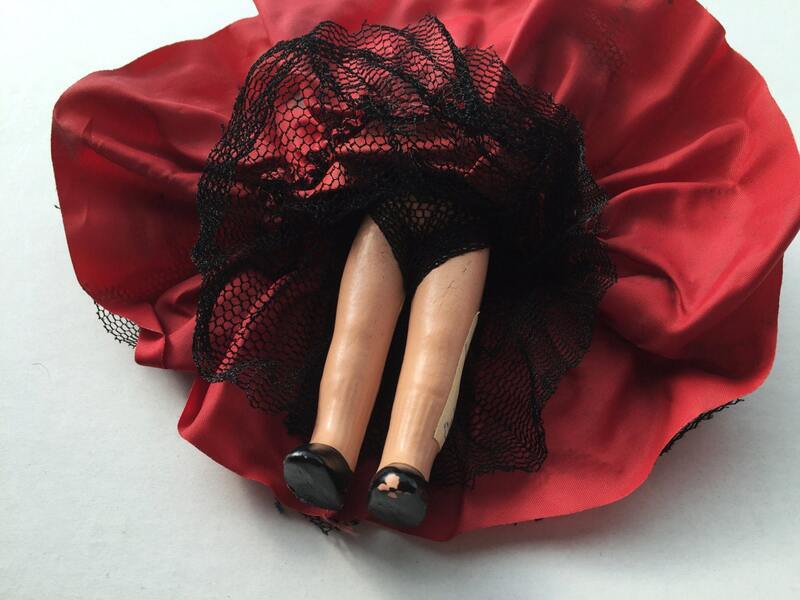 THIS DOLL IS INTENDED FOR ADULT COLLECTORS ONLY - NOT SUITABLE FOR CHILDREN.